Katy Moore owner, Sommelier and all around Bon Vivant who loves all facets of wine. I started K Cellars in order to share my knowledge and passion for wine. I am a Sommelier whose drive to showcase great wine resulted in the opening of a boutique importing agency. K Cellars has grown so quickly that I have had to incorporate. KATY MOORE WINES LTD. is the new face of K Cellars. Our wineries all share the same philosophy that great wine comes from the vineyard. Sustainability is the key along with a proactive approach to vineyard work. They may not all be small wineries but attention to detail is key and you can easily see the effort in the glass. Discourse on wine is enjoyed at great length around our table. Not just deciding what pairs best with our next meal. Katy Moore is here to connect with wine lovers to answer questions, share opinions, and host events to connect everyone with great wine and food. Hosting a party and looking for a twist? Katy Moore Wines offers personal tastings based on your choice of topic. Wines can be from personal cellars or the LCBO. Focus on a region, wine style or particular vintage. Katy Moore Wines offers certain Sommelier services for restaurants: Staff training, wine list consultation, or someone to lead a wine pairing dinner or special event. When should you drink that special bottle? What should you pair with your favourite dish? What should you buy for that special someone who loves wine? All of these questions and more can be answered when you subscribe to Katy Moore Wines Sommelier service. Yearly subscription holders also receive updates about LCBO releases that they would enjoy. This service is based on e-mail questions and responses. Think of it as a Sommelier app. Do you love wine but not the time it takes to peruse the LCBO? Let Katy Moore Wines stock and maintain your cellar for you. 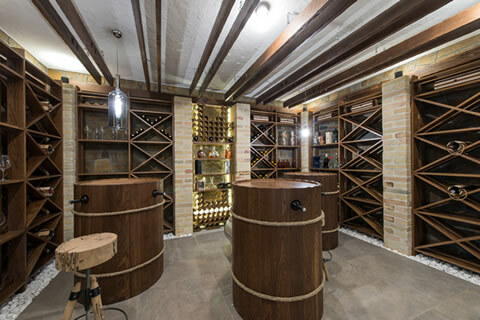 If you are looking to develop a showpiece cellar or just ensuring that you have something to sip on when company pops in Katy Moore can help. My aim for starting Katy Moore Wines Ltd. was to connect wine lovers with wines that are found off the beaten path. I have had the opportunity to travel and experience many wine regions first hand. Working in the wine trade as a Somm and a buyer has allowed me to find the small niche wines that don’t tend to show up on the LCBO’s radar. Sharing my knowledge of wine with the community is what drives me.